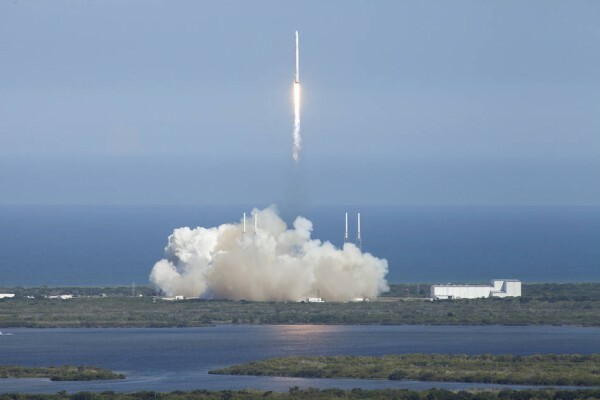 A SpaceX Falcon 9 rocket lifts off from Space Launch Complex 40 at Cape Canaveral Air Force Station carrying the Dragon resupply spacecraft on the sixth commercial resupply services mission to the International Space Station. Liftoff was at 4:10 p.m. EDT, Tuesday, April 14. Research that will help prepare NASA astronauts and robotic explorers for future missions to Mars is among the two tons of cargo on its way to the International Space Station aboard Dragon. The mission is the company’s sixth cargo delivery flight to the station through NASA’s Commercial Resupply Services contract. Dragon’s cargo will support approximately 40 of the more than 250 science and research investigations that will be performed during Expeditions 43 and 44, including numerous human research investigations for NASA astronaut Scott Kelly’s one-year mission in space.